My name is Trisha Roberts. I will do my best to explain (in my own simple way) 😉 my thoughts about veganism because veganism is an extremely important social justice movement. Nonviolence (including nonviolent speech) is my focus but with a very strong emphasis on veganism. Veganism is all about nonhuman animals. It’s not about human social justice issues although many human issues intersect and are influenced. It’s not about health or environment, but there are ancillary benefits for us. Vegans do not use animals for food, clothing, entertainment or other reasons. To be clear, veganism is about nonhuman animals and their right not to be used as property and it is the recognition of their moral personhood. Being vegan is not everything we need to do to live a nonviolent life, but it is an important and essential first step. Please note although there may be references to various people (religious and non-religious), this page approaches veganism (a political cause) in a secular way. You do not have to be vegan to subscribe to my page 🙂 but I hope that after you view the information on this page, you will consider becoming vegan. The abolitionist movement is a grass-roots nonviolent political movement. For abolitionists it’s not HOW animals are used that is the issue, (because there’s no such thing as non-abusive use) it’s THAT they are used that is the problem which needs to be addressed, and the way to do this is through nonviolent abolitionist vegan education. As abolitionist vegans, we recognize that all other animals deserve at least one right—the right not to be used as property—and veganism is the first step to taking that right seriously. 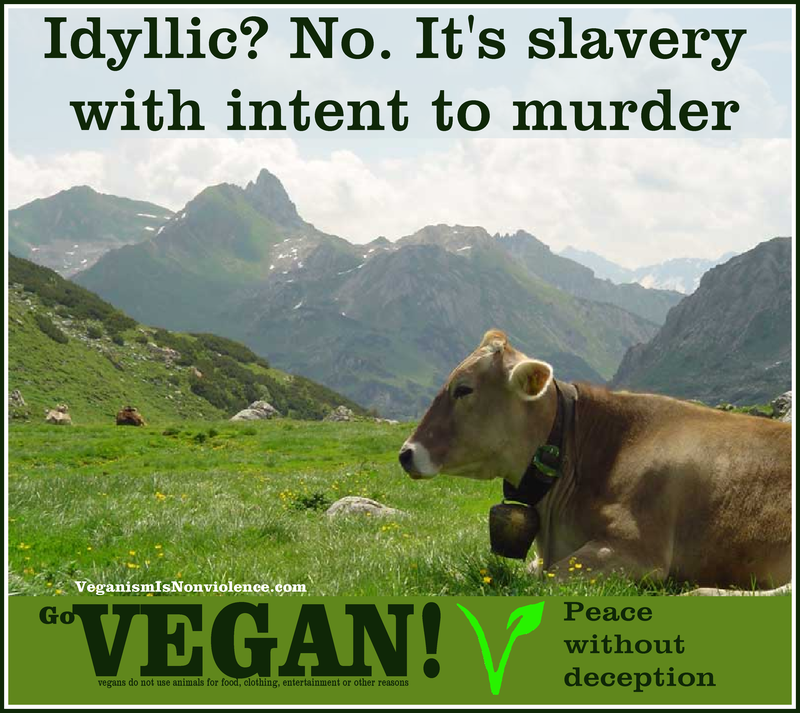 Being vegan is the minimum standard of decency and ending the last great slavery is the morally right thing to do. Disclaimer: I promote nonviolence exclusively. Although I link to this abolitionist resource because of the valuable nature of the research and theories it contains, I do not endorse or support any abuse, manipulation, defamation, intimidation, or other inappropriate behaviour from any persons surrounding the linked resource. Please do not reject abolitionism because of some abolitionists’ behaviour. As I mentioned, I hope that if you are not already vegan, that information contained on this page my assist you in becoming vegan. 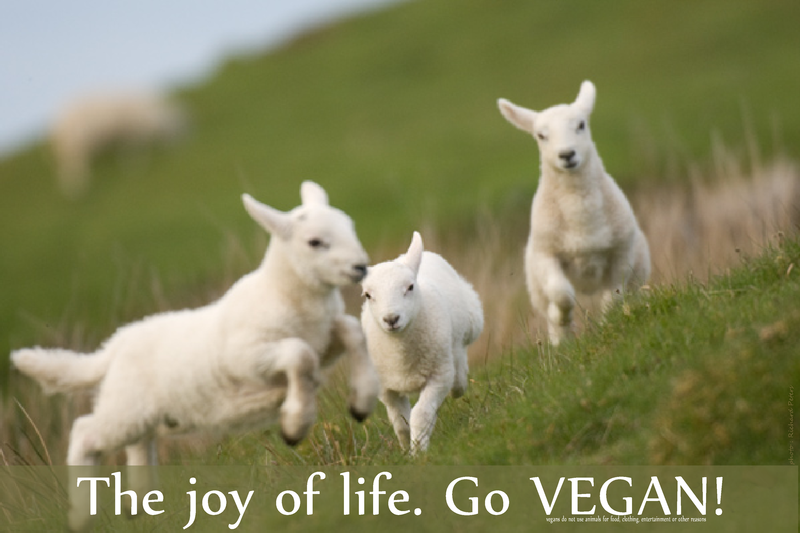 Being vegan is very easy and it will be one of the most profound decisions you make in your life.